The Academic Society (AF) is an non-profit student organisation, for and by students with a purpose of gathering and broadening the cultural aspect of studentlife at Lund University. 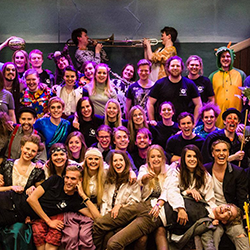 By providing supporting functions and premises enables AF for their own committees, the connected organisations and students to go through with initiatives no matter the size that enrich Lunds studentlife and makes Lund an attractive place to study. What will you engage in?